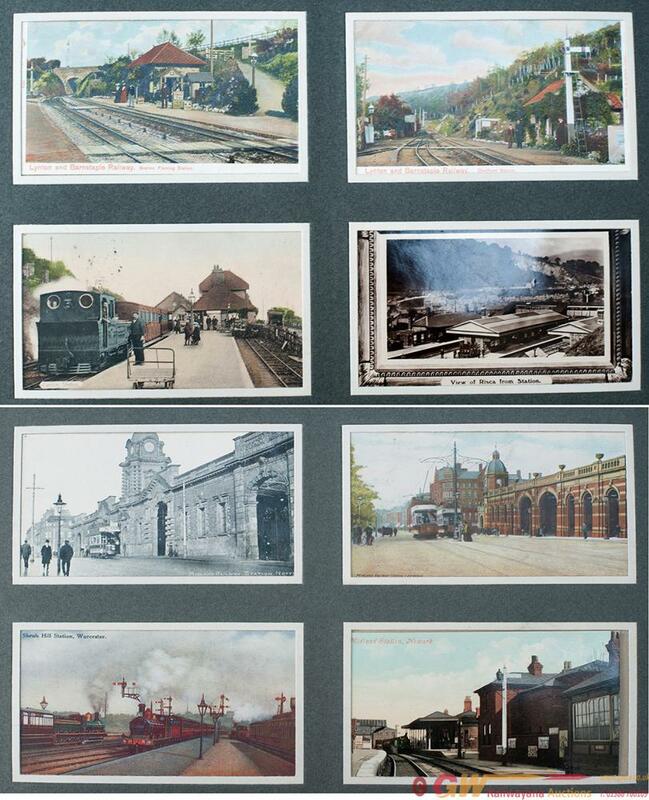 Postcard album containing 200 postcards of stations, all early 20th century. Approximately 100 colour and 100 b/w. Mainly commercial cards covering all parts of the UK, notably; Lynton & Barnstaple, NLR, GNR, Midland, LSWR, LBSCR, GWR, GER, GCR. Well worth a look.